Lake Dawson, the corporate chef for Tropical Smoothie Cafe, and his partner Michael Boynton, have a side job and it involves tacos. Boynton found himself seeking out quality, authentic tacos everywhere he went. 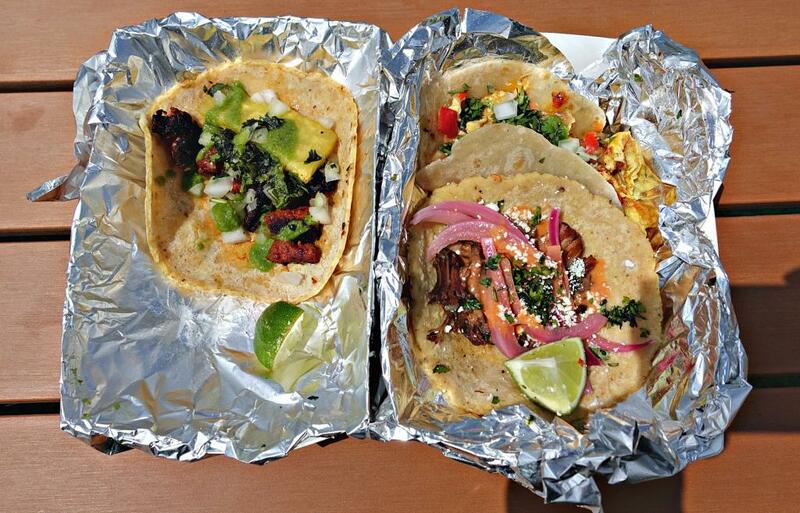 The idea for a taco truck was born. 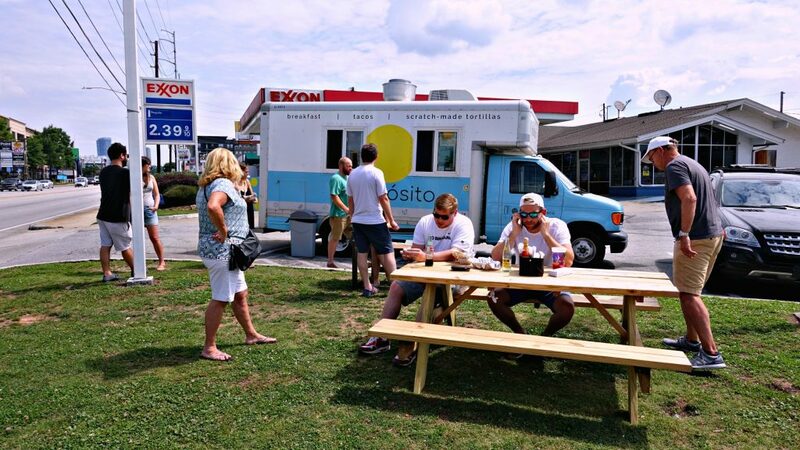 Propósito, the duo’s new blue and white food truck that sits in the parking lot of the Exxon at the corner of Lindbergh Drive and Piedmont Road, opened two weeks ago. It serves breakfast and lunch tacos with classic Mexican flavors such as barbacoa and al pastor pork, along with quesadillas and icy bottles of Mexican Coke. An overhead shot of tacos. Propósito is a stationary truck, so no need to follow it around, and is open Monday through Saturday from 7 a.m. to 2:00 p.m. They also offer catering—for $10 a head, they’ll pull the truck around and serve each person two tacos or a quesadilla, chips and homemade salsa, and a drink. If you want to keep up with their specials, follow their Instagram.